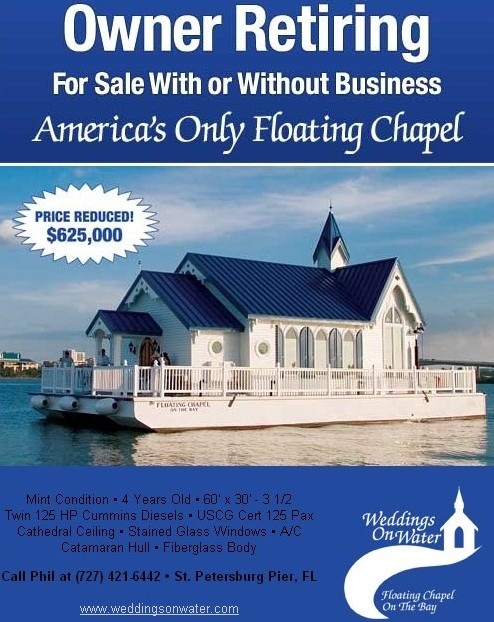 The beautiful Floating Chapel is designed to give a complete unique wedding experience. 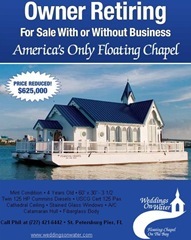 Combines the traditional appeal of a chapel setting with the natural beauty of Florida. Home port is at St. Petersburg, Tampa Bay, Florida. For more information and for photographs, log on to weddings on Water.